"Hi - my name is Liam and I have been working as a Lifeguard at Westpark Fitness since February 2018. " "Hi - my name is Chloe and I have been working as an Instructor at Westpark Fitness since November 2018. " "Hi - my name is Eddie and I have been working as an Instructor at Westpark Fitness since 2018." "Hi - my name is Hazel and I have been working as a receptionist at Westpark Fitness since April 2018. " "My name is Emma and I've been working as a Receptionist here in Westpark Fitness since October 2017. I’ve also been a member here for over 3 years." "My name is Orla and I’ve been working in Westpark Fitness for 6 months." "Hi I am Jurate, and I have been with the Westpark Fitness team for 13 years. I work as a sales executive, helping people to start their fitness journey." "Hi, my name is Niamh. I am a part-time receptionist here at Westpark Fitness and have been since August 2017"
"Hi I am Vicki and I have been working at Westpark Fitness on reception for one year now." "Hi my name is Sarah and I started working as a Receptionist in Westpark Fitness in July 2017." "Hi I am Prabhat, and I have been working with Westpark Fitness for almost 4 years." "Hi my Name Is Lee Doherty and I have been an Instructor in Westpark Fitness since 2016." "Hi my name is Kealan and I have been working and studying in the fitness industry for over 5 years now." "Hi, I'm Susan. I have been a member of Westpark Fitness for as long as I can remember as I have always been interested in sports health and fitness." "Hi I'm Matthew, and I started working in Westpark Fitness in August 2016, straight off completing my own gym instructor course." "Hi, my name is Gustė. I am a lifeguard at Westpark Fitness and I have been working here since July 2017." "Hi, I’m Ben and I have been working in Westpark Fitness for 8 years. I am the lifeguard here and I also teach the children’s and adult lessons." "Hi, my name is Elaine and I am a lifeguard at Westpark Fitness and I started working here in February 2018." "Hi my name is Conor I have been working in Westpark Fitness for the last two years as part of the hygiene/maintenance team." "Hi my name is Maria and I have been part of the hygiene team in Westpark Fitness for the past 18 years." "Hi I'm Kay and I have been part of the hygiene team in Westpark Fitness for 13 years"
"My name is Lizzie and I’m proud to say that I am one of the Gym Floor Managers here in Westpark Fitness"
"Hi I'm Sharon and I have been one of the gym Duty Managers at Westpark Fitness for over 11 years." "Hi I'm Michelle and I am the Administration Manager in Westpark Fitness with my main responsibility being managing Front of House team." "Hi I'm Kevin and I am the General Manager of the club here and I have worked with the team at Westpark Fitnessfor over 20 years." "Hi, I’m Alison and I am the Assistant Manager in here in Westpark Fitness. I have been working here for the last 18 years. " 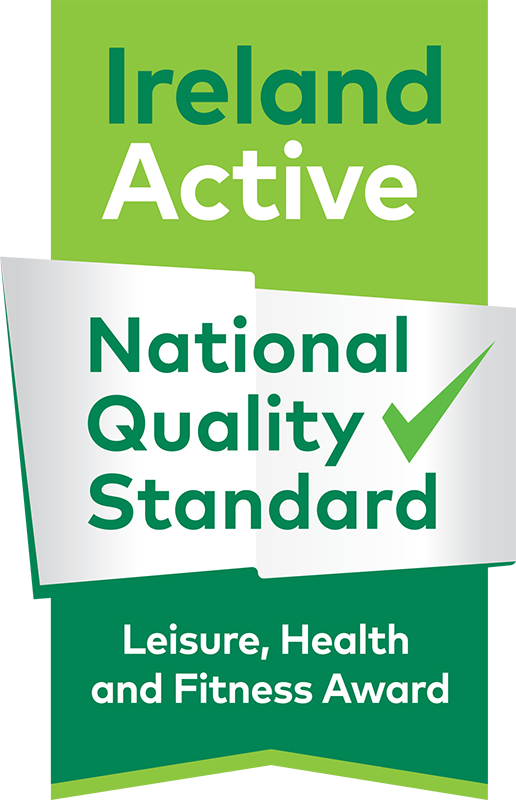 Ireland Active is a not for profit company limited by guarantee to provide support and services to create the platforms to professionalise our industry through standards and best practice whilst simultaneously developing the synergies to engage more people to be more active more often – thus providing for a healthier nation.